We are a hard-working and dedicated Auxiliary, made up of a diverse group of dynamic women who bring a wealth of experience and a lot of heart! For three decades women of the Peninsula have worked side by side as the philanthropic arm of PARCA, raising critical funds that make an impact in the lives of the PARCA clients. If you are interested in learning more about the Auxiliary, please contact our VP Membership at auxiliary@parca.org to request an invitation to our Prospective New Member Coffee, held in late May. Applications to join the Auxiliary are welcomed over the summer months, and each autumn we welcome a new class of Provisional members. 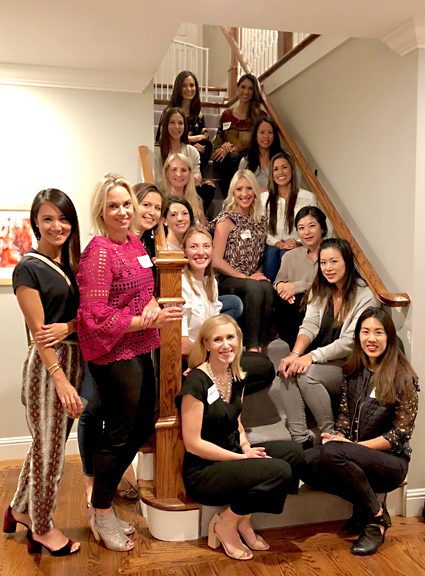 We were pleased to welcome this talented and enthusiastic group of Provisional members in October 2018. If you’re looking for an opportunity to develop genuine friendships while making tangible contributions to an important local charity, then the PARCA Auxiliary may be a great fit for you!